1. 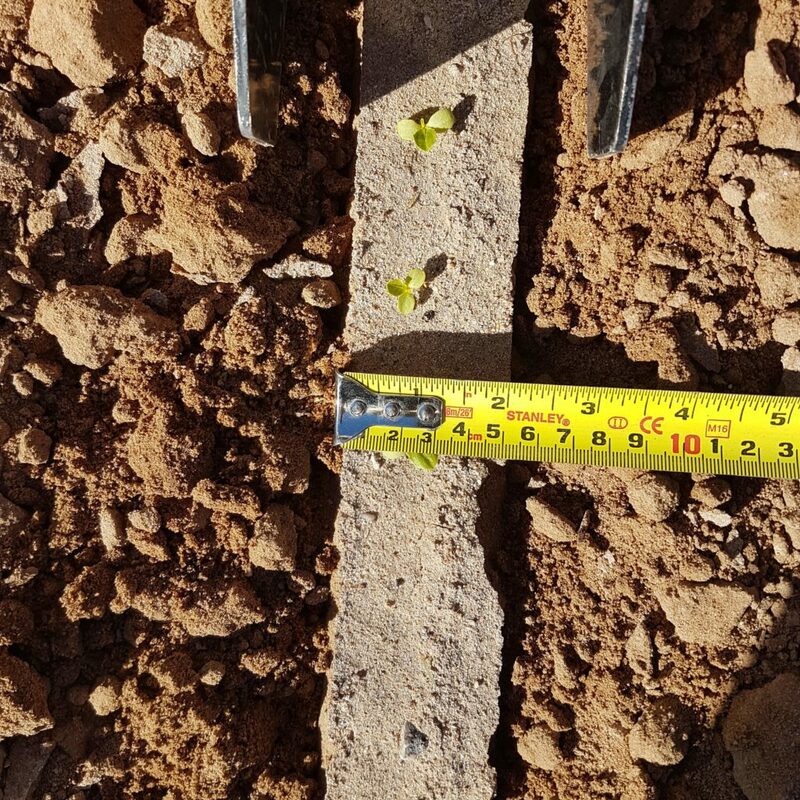 Special cut-away discs cut the soil away within an inch of the row. 2. 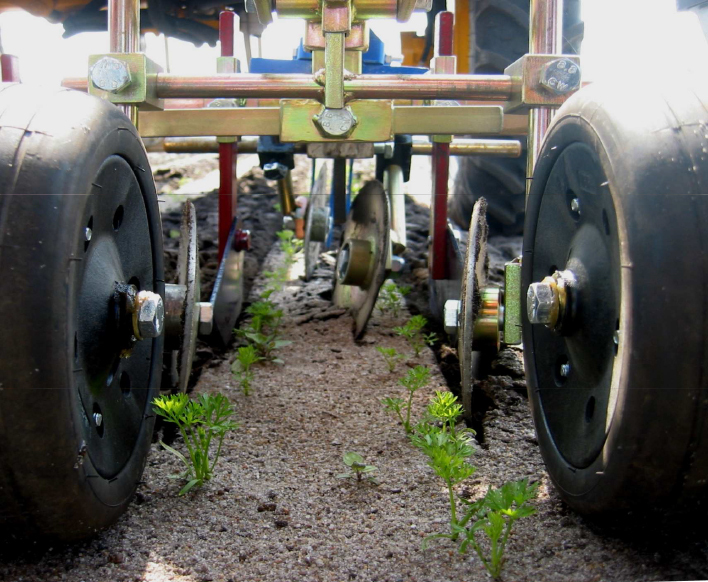 This cutting action by discs means that virtually no soil is thrown into the row that would bury young seedlings. 3. 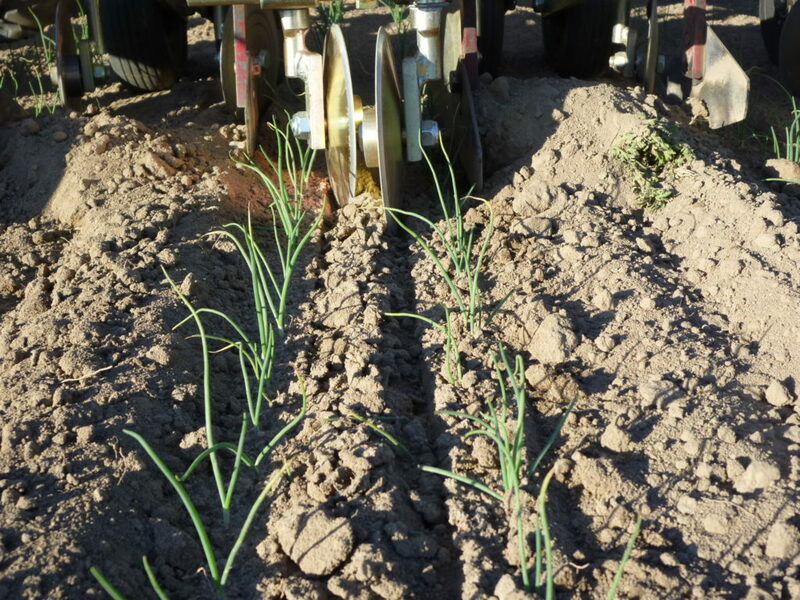 The cut-away discs are also ideal in crusted soil – where knives would rip up whole clods and dislodge seedlings in the row, the cutting action of the discs means that even in crusted soil, a clean cut is made on either side of the crop row. 4. 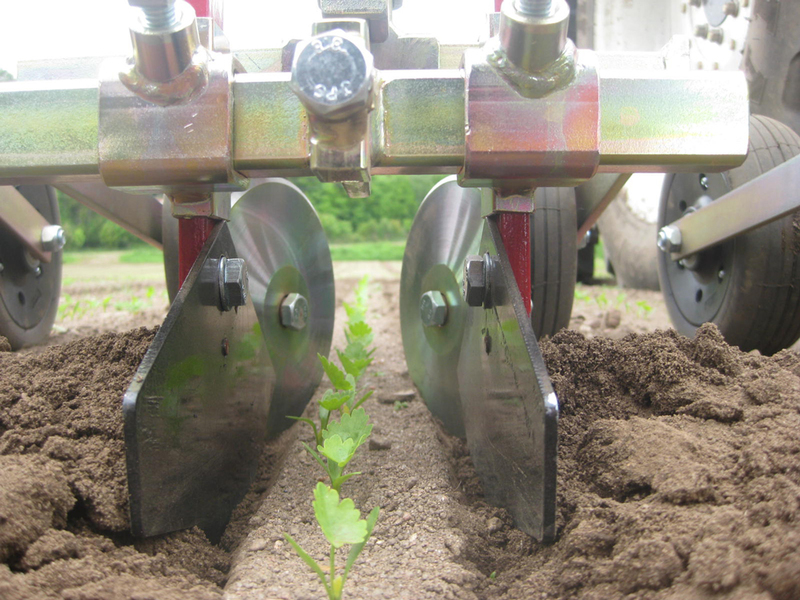 This clean cutting action with no soil thrown into the row allows the Duos to be used as soon as your crop can be seen. 5. 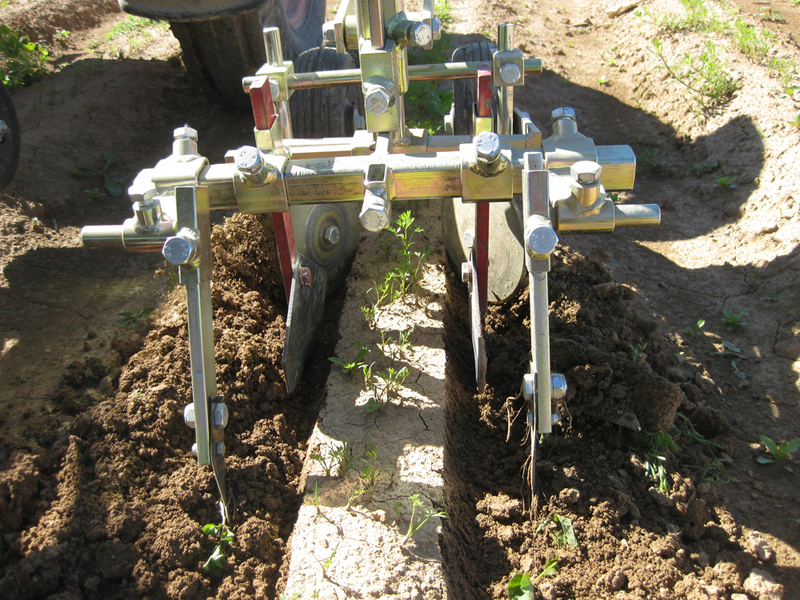 Angled knives follow the cut-away discs to cultivate shallowly up to 18” on either side of the row. 6. 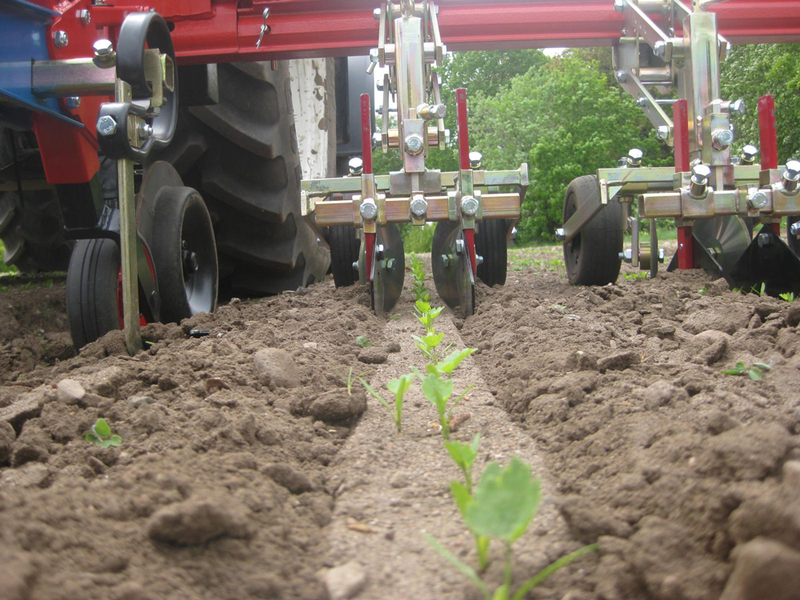 For ridge culture, special blades can be added to cultivate the sides of the ridge. 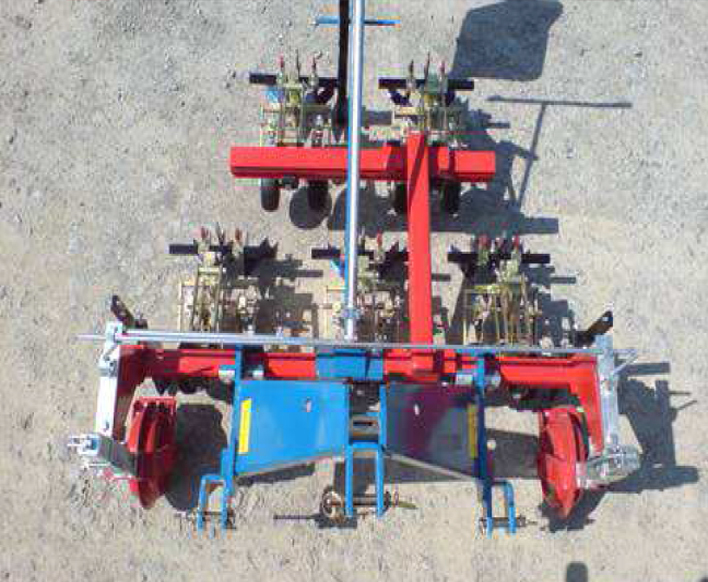 Discs are adjustable in all directions for maximum adaptability to your field conditions. The angle of attack of the side-knives (angle into the ground) is also adjustable, in order to change their aggressiveness and working-depth. 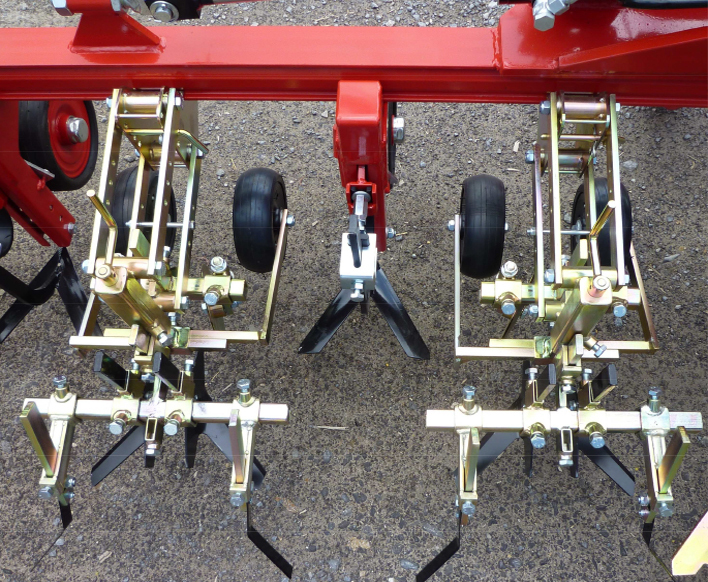 Discs, side-knives, and gauge-wheels are all adjustable to fit any row-spacing. 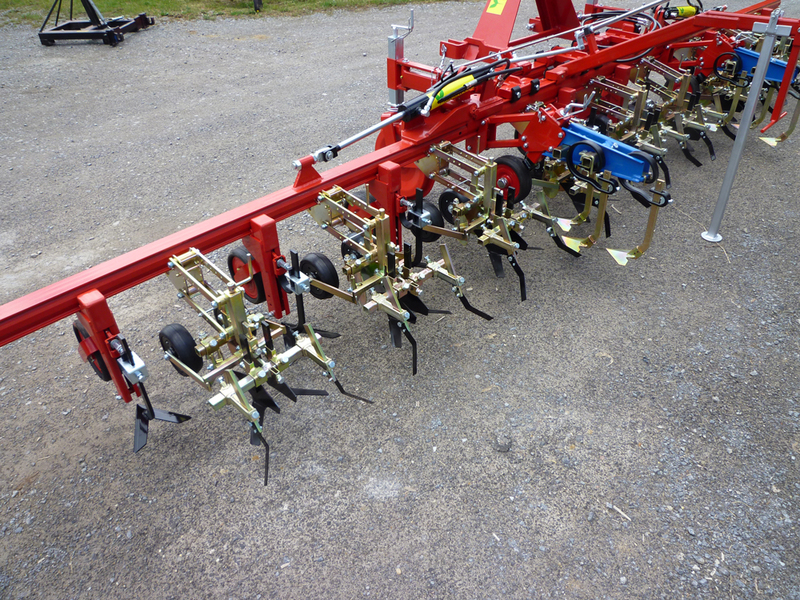 DUO-Parallelogram 5 rows, mounted to Argus toolbar with manual steering. Duos, because they include their own parallel linkage, can be added to your existing toolbar.